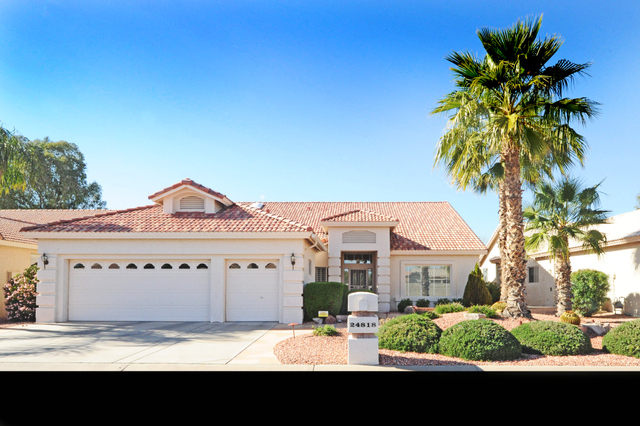 Just listed for sale at 24818 Stoney Lake in Sun Lakes AZ, this new listing for sale in Oakwood Country Club is a Borgata floor plan with 2600 square feet, two bedrooms, two and a half baths and a separate den or office. This popular floor plan features a formal living and dining room, spacious kitchen with corian counter tops, bar area and open to the family room and informal dining area. 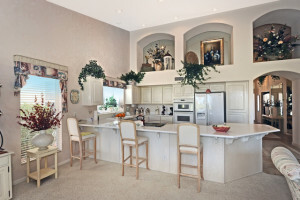 Golf course and waterfront lake views are visible from the kitchen, family room, dining room and master bedroom suite. 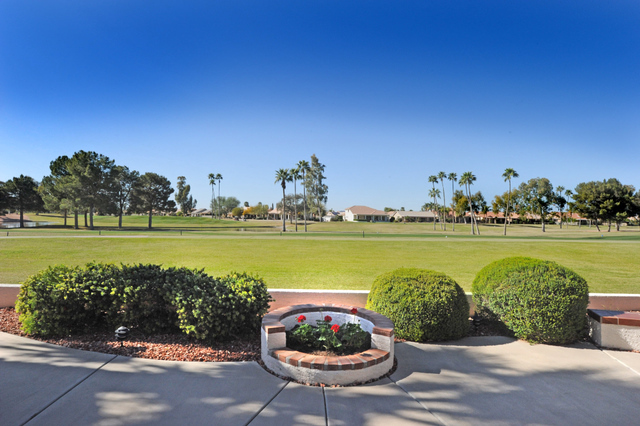 Located in the active adult gated community of Oakwood Country Club in Sun Lakes, this home is one of over 4,019 in the IronOaks homeowner associatio 24818 Stoney Lake is convenient to Sky Harbor and Mesa Gateway Airports and near all major freeways including the 101, the 202 and the I-10. Shopping at San Tan Shopping Center and Chandler Fashion Square are less than twenty minutes away. One of the nice features of this Borgata floor plan is the large counter top that surrounds the kitchen. It is perfect for entertaining guests, a breakfast bar or watching the big screen television in the family room while cooking. 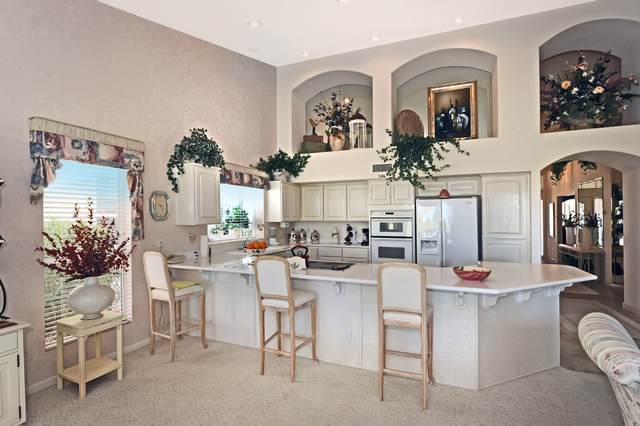 The large niche above the cabinetry allows display of your favorite artwork or decor. Refrigerator, microwave, gas oven, electric cooktop, soft water system and RO system are just some of the features you will love. And the best part is the fabulous views of the golf course and lake just outside the patio doors. 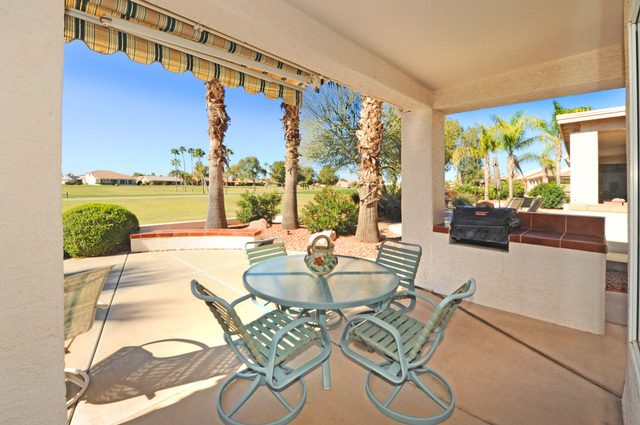 The views of the Palms golf course are spectacular from your large covered and extended patio. Enjoy views of the #5 fairway and the #4 green as well as the #6 fairway. Waterfront lake views are directly in front of the patio and the southwestern facing patio allows for spectacular sunsets! You will love this patio for morning coffee, afternoon cocktails, entertaining friends and family or just a family BBQ. Relax in the sun with a book or just watching the golfers can be quite entertaining. For more information on this home at 24818 Stoney Lake in Sun Lakes Arizona see the listing video. Not ready to buy just yet? Sign up for new listing alerts with our simple form below and we will notify you when new listings come on the market.